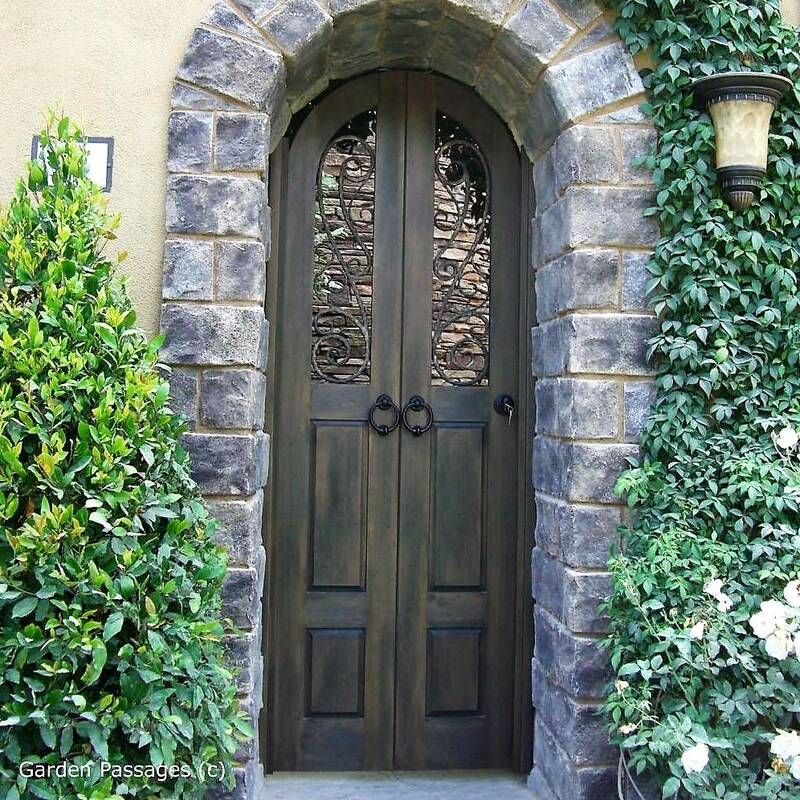 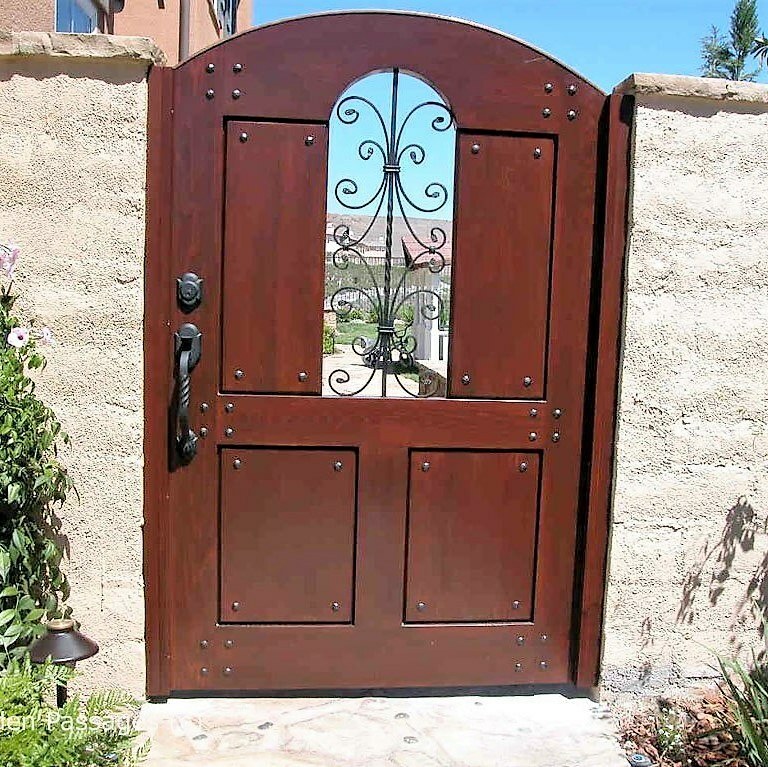 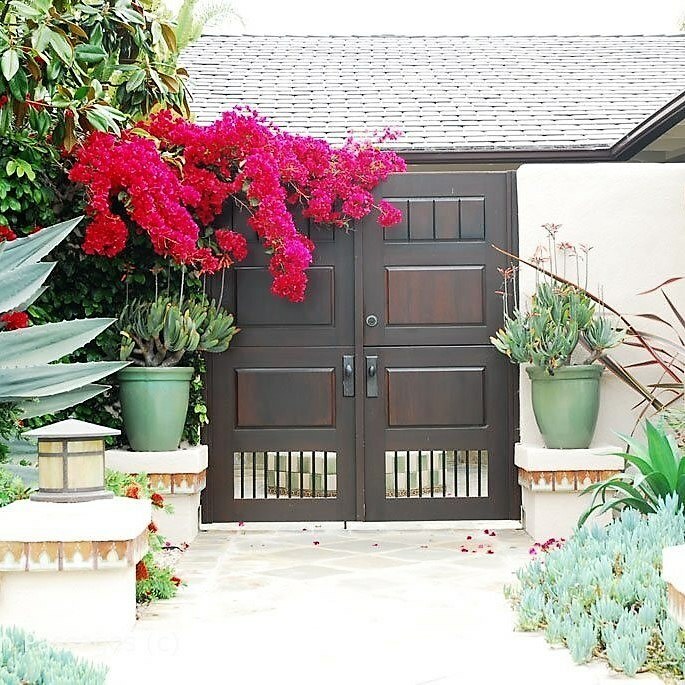 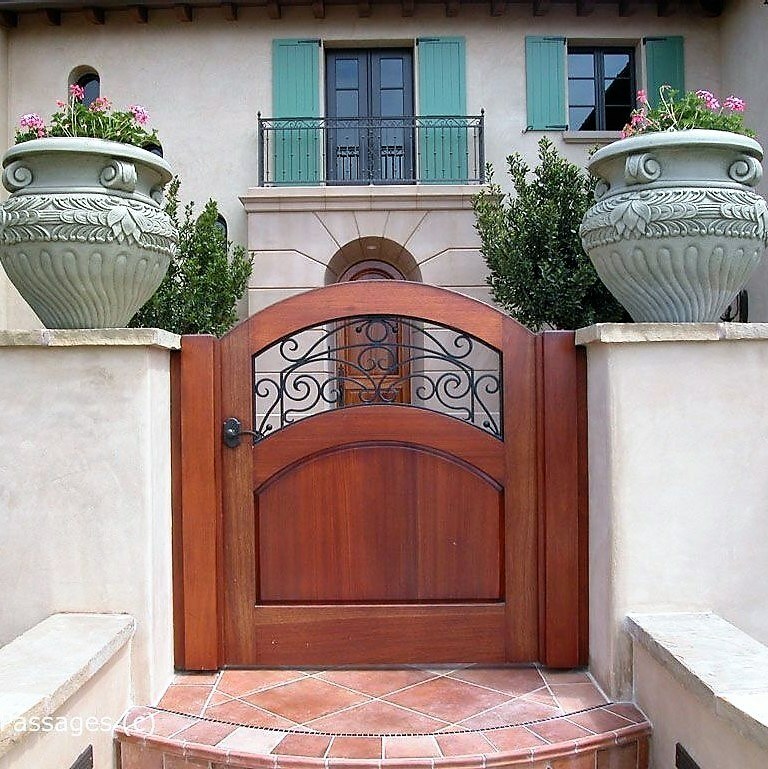 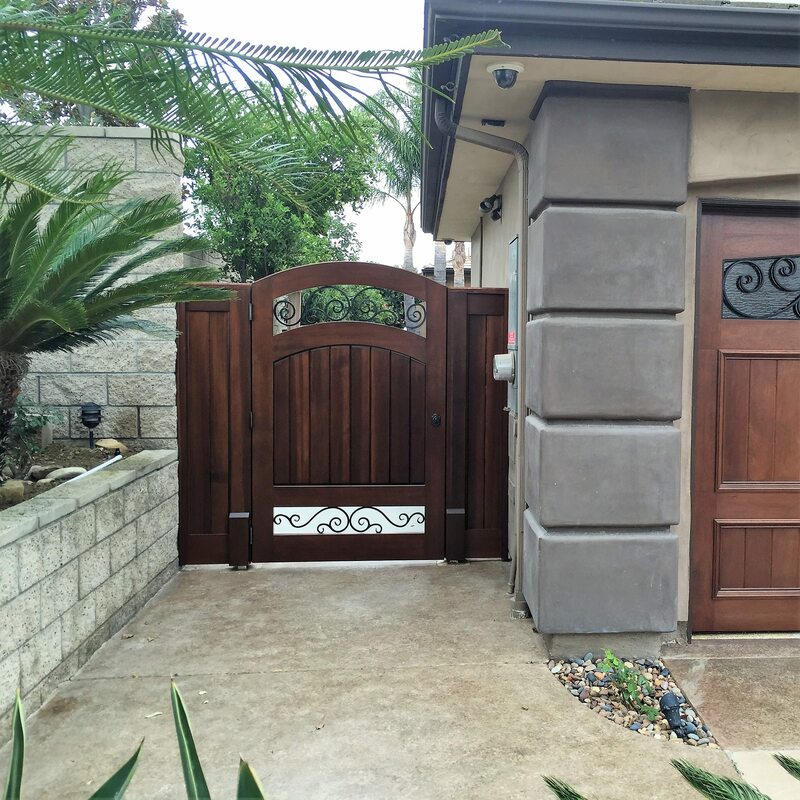 Designer Wood Gates are the flagship of Garden Passages’ custom wood gates. These gates offer unsurpassed quality and craftsmanship while setting your home, yard and garden a step above the rest. 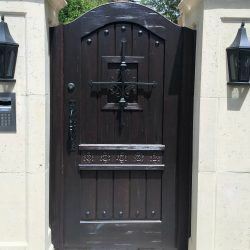 Our Designer Wood Gates are the perfect choice if you are looking for truly spectacular entry gates, garden gates, side gates or ornamental gates. 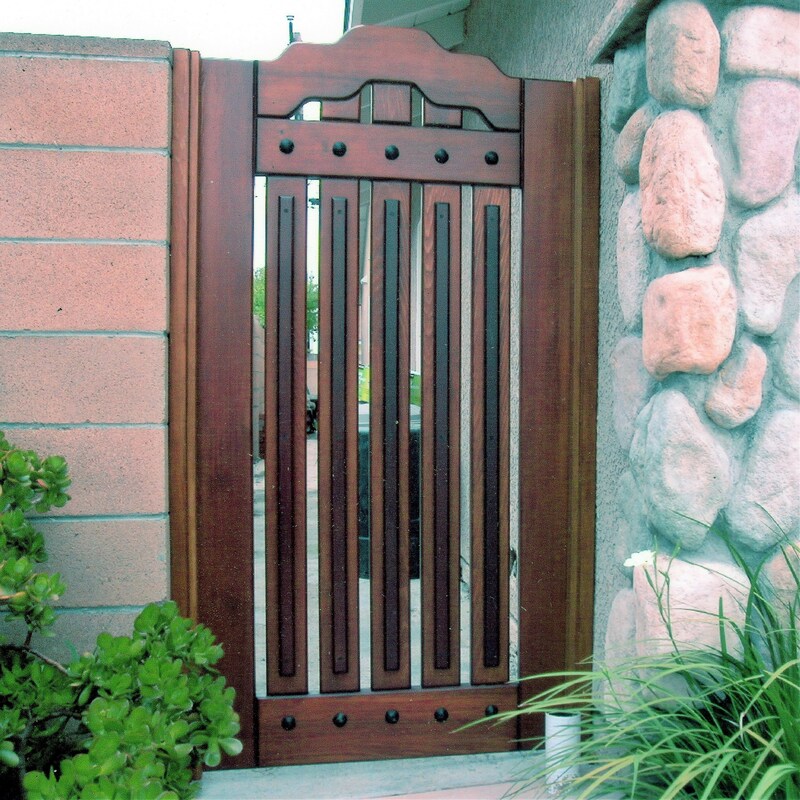 Below you will see a small sampling of some of the Designer Wood Gates we have created for our customers. 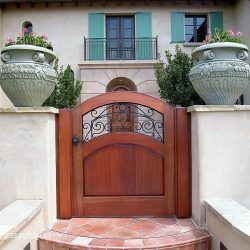 You can also visit Garden Passages on Pinterest for more projects we have completed for our customers. 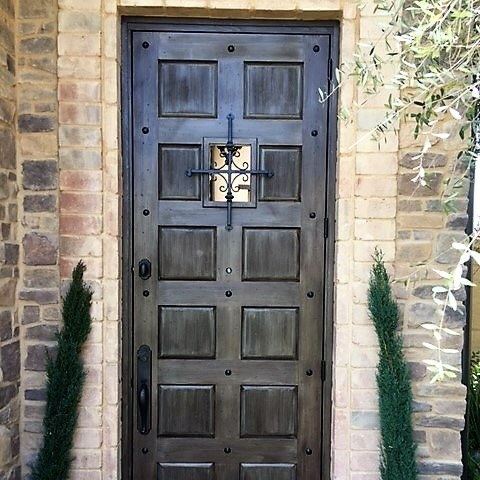 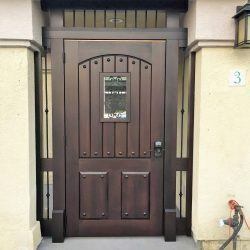 You are not limited to the styles you see here, all Designer Wood Gates are custom tailored and created from the ground up for our customers. 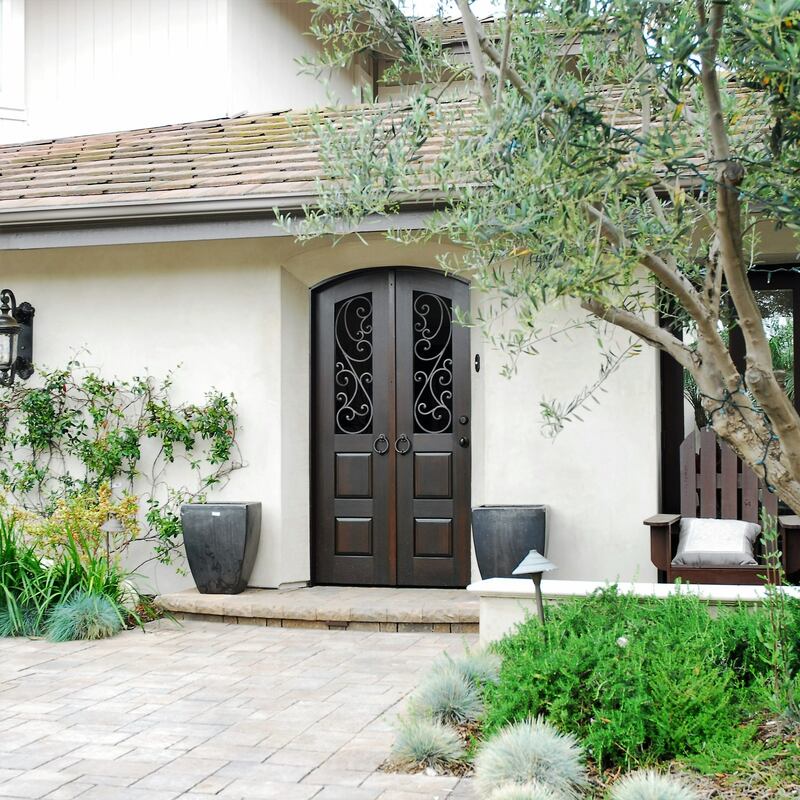 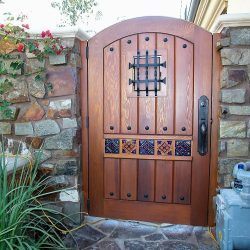 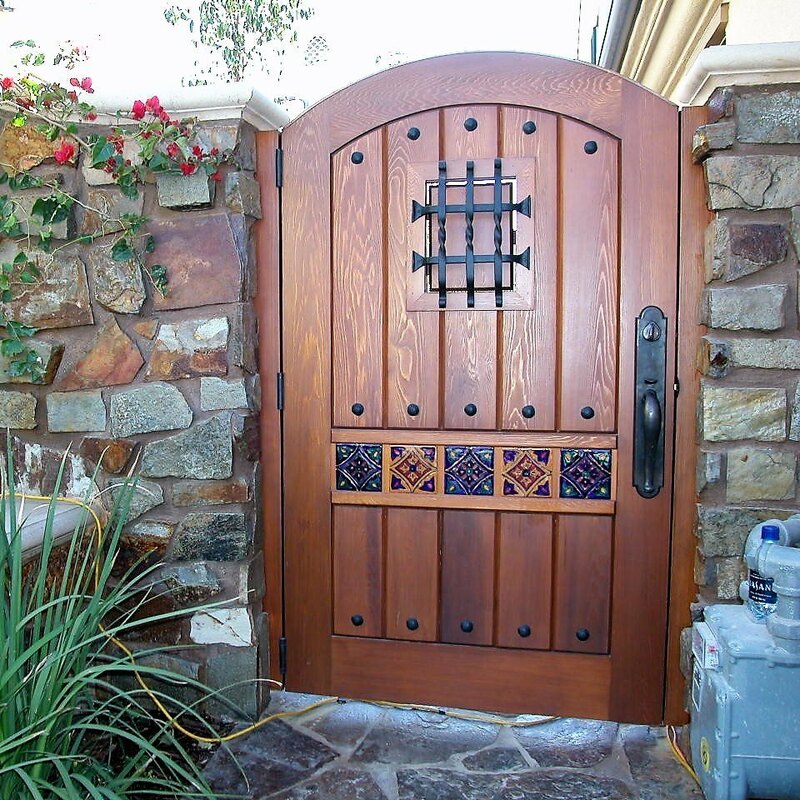 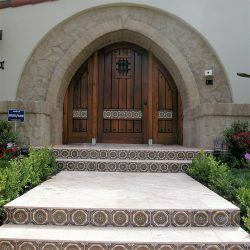 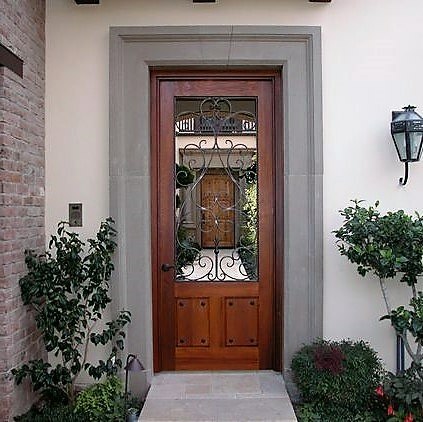 Many of these gates are one of a kind ideas incorporating classic iron accents, tile, glasswork and wood carvings. 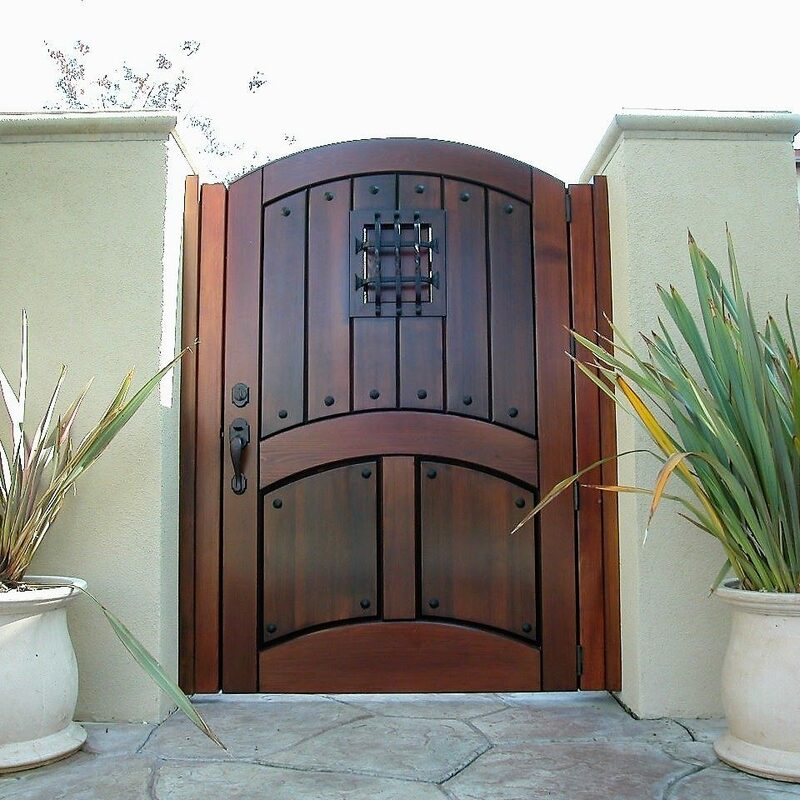 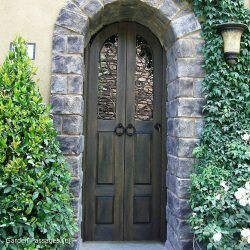 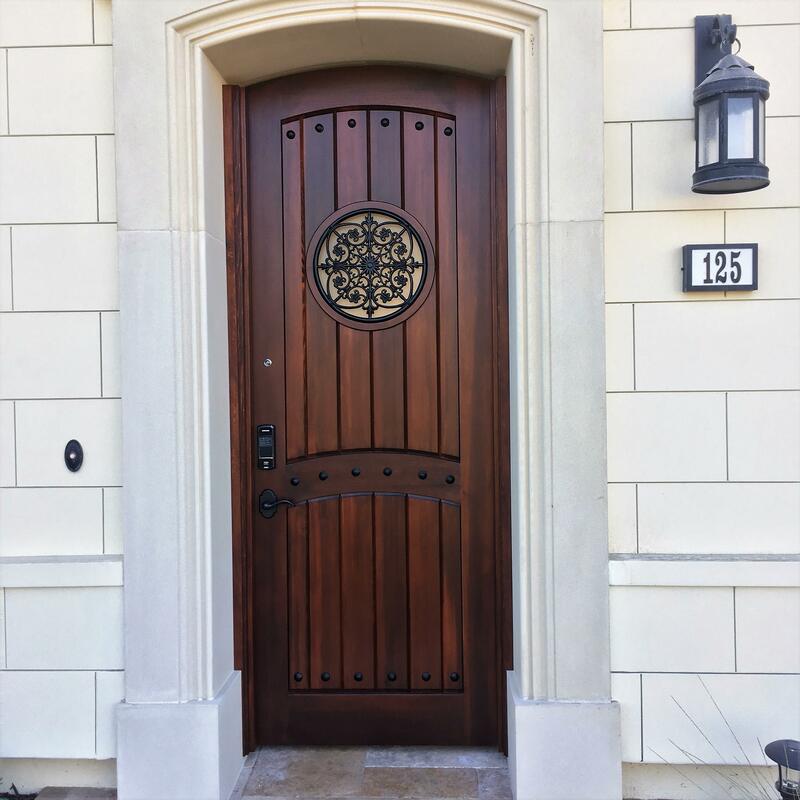 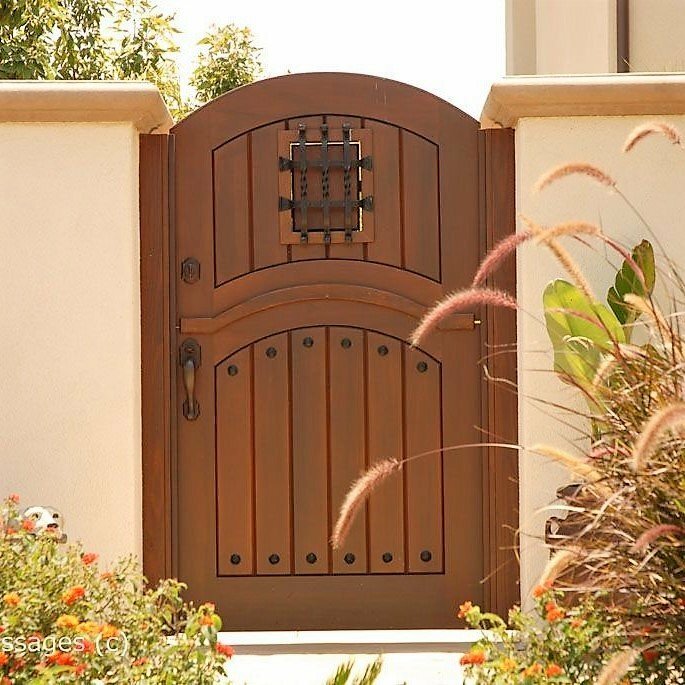 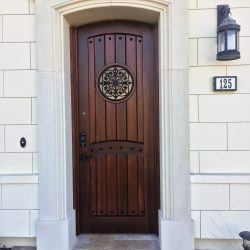 Designer Wood gates vary in thickness starting at 1 3/4″, as well as custom sizes with heavy sculpted and solid panel bodies. 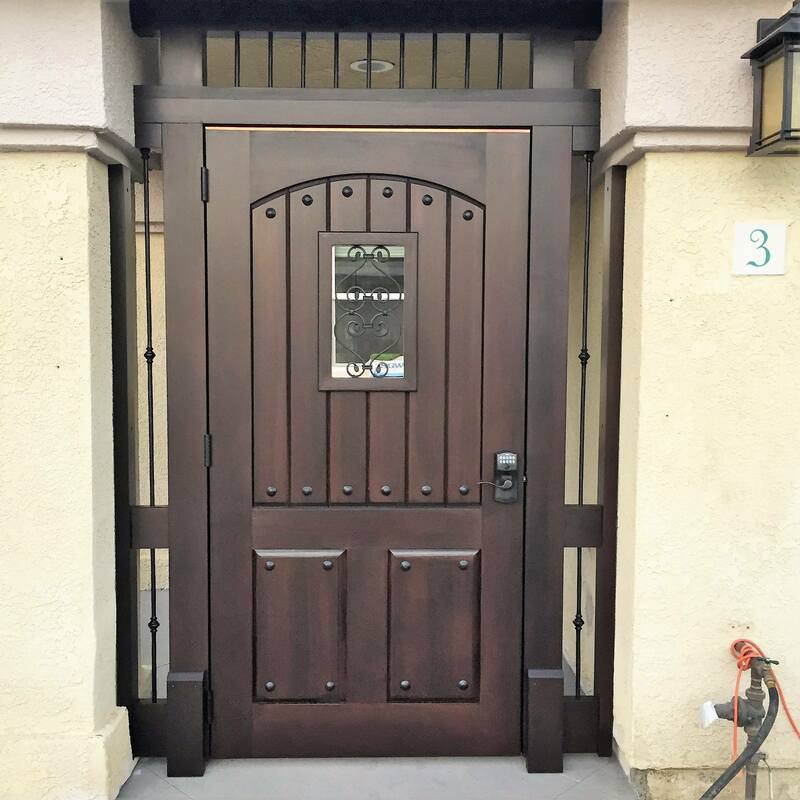 We recommend that you visit our showroom and speak with one of our designers for the most accurate pricing on your custom project. We cannot offer pricing over the phone for most designer projects as the specifics of the specialty hardware, ironwork, glass setting and scope of your project are very important to the end result. Unlike other companies, all gates shown on our website were designed and built by Garden Passages. 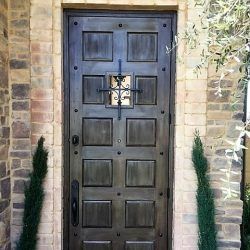 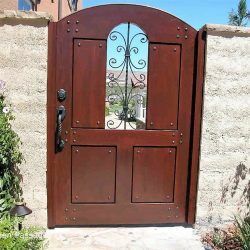 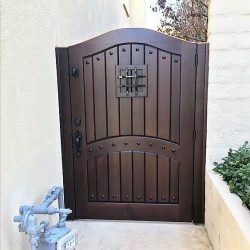 If you are looking for a style of Designer Wood Gate previously listed on this page that is no longer here, please be sure to check our Old Gate Gallery Page. 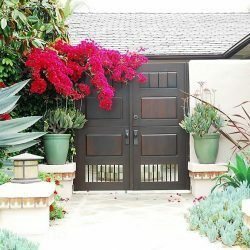 Be sure to visit Garden Passages on Pinterest for more example of Designer Wood Gates built by Garden Passages.